Did you know that, every year, the Color Marketing Group forecasts a “color of the year”? It’s what they believe to be the trend in color, and it impacts industries from fashion to automotive to even window treatments. 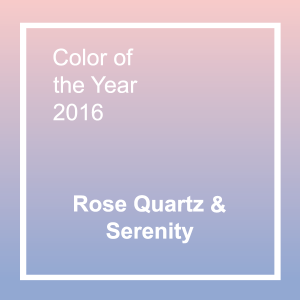 For 2016, the forecasted trending colors are Rose Quartz and Serenity, marking the first time two colors have been chosen together. If you’re interested in discussing ways you can add these colors—or others—to your home, talk to a trained consultant at Windo VanGo serving the Baltimore area. We’ll be happy to help! If you choose to use these colors, you’ll know you’re getting the real deal if those numbers are associated. 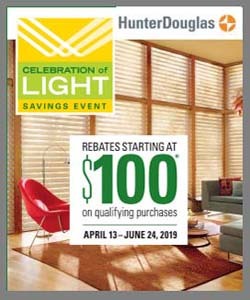 Solving an age-old problem with Roman shades, Hunter Douglas has removed the visible cords and the bulky stack of fabric that are typical of Roman shades. The result? 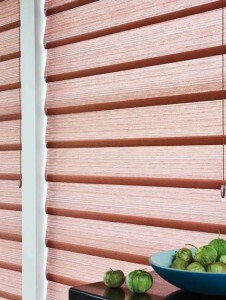 Vignette® Modern Roman Shades that look great from the inside and out! Stop by our showroom in Marriottsville, serving the Baltimore MD area, to see these shades for yourself. Or, schedule an in-home consultation! Until then, check out this video to see the many great features of this innovative window covering.